Household inflation pressures in America moderated last month, according to new data from the Bureau of Labor Statistics (BLS). 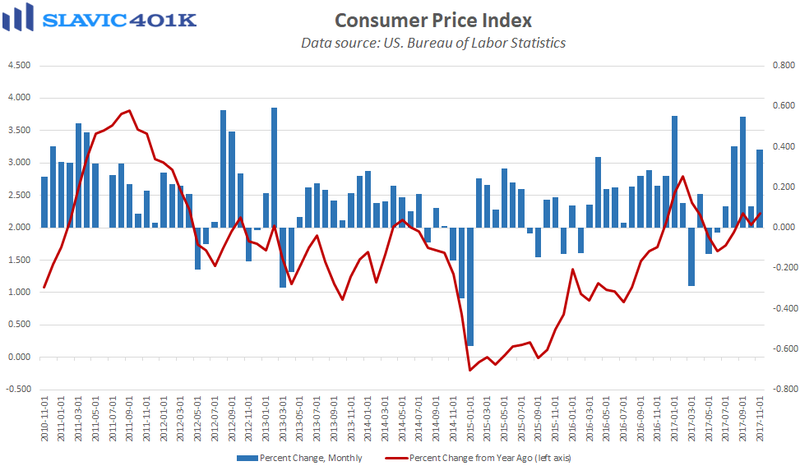 Specifically, the consumer price index (CPI) for all urban consumers rose by 0.4 percent in November, in line with expectations and a large enough gain to lift the year-over-year pace of growth to 2.2 percent. Most of the headline increase, though, was due to a jump in the prices of gasoline and other energy commodities. 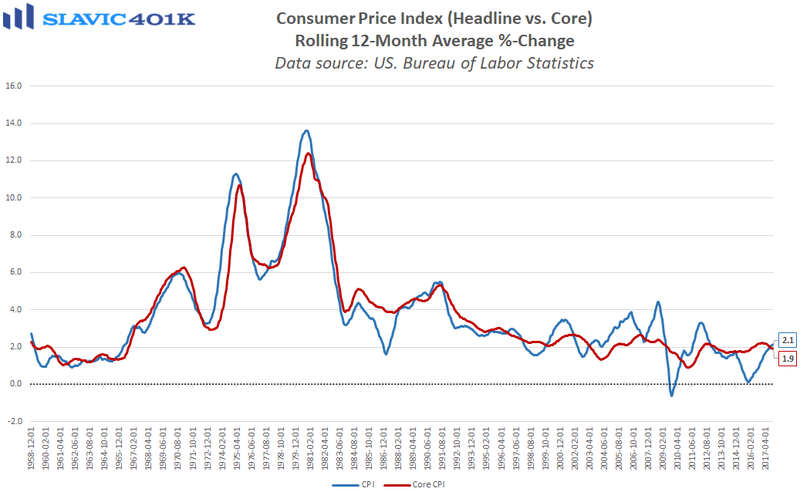 Moreover, “core” CPI, which excludes the volatile food and energy components, lifted by just 0.1 in November, half the gain anticipated. Some of that slowdown was due to a 1.3 percent plunge in the apparel CPI, the largest such decline since 1998 and yet another piece of bad news for retailers. On the bright side, the growth rate in shelter costs continued to slow last month, helped by the recent uptick in rental construction. Despite last month’s cooling in core inflation, the market remains convinced that the Federal Reserve (Fed) will raise the target range for the federal funds rate by another 25 basis points later this afternoon when the December Federal Open Market Committee (FOMC) meeting concludes.